I used to always use Pantene Pro-V’s Classic Clean Shampoo and Conditioner, but wanted to change it up and started using their new Daily Moisture Renewal Shampoo and Conditioner, and I am so happy I did. My hair is softer and so much more manageable! My hair is really thick and coarse and can get unruly, so it’s so nice to have found a shampoo and conditioner that keeps it nice and soft. 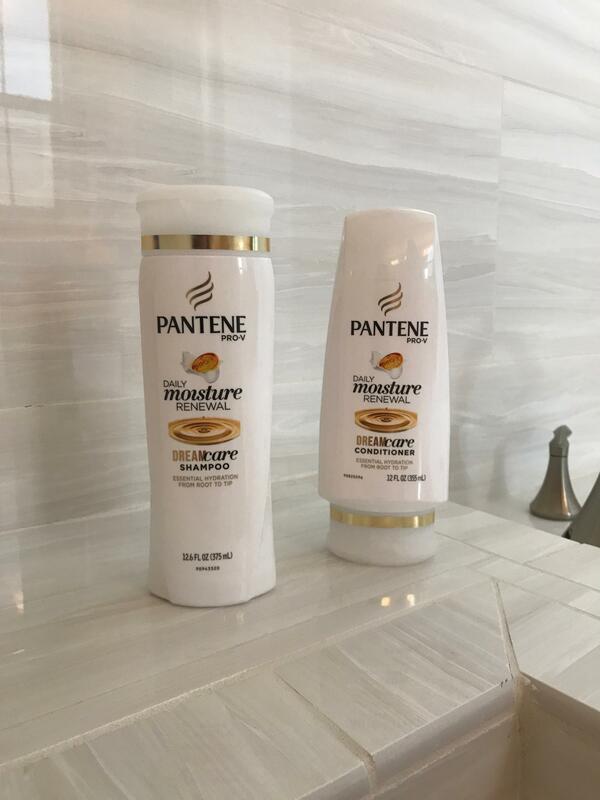 I never used to wash my hair every day because I was afraid that it would feel dry if I did, but now with Pantene’s new shampoos, I can wash my hair daily without the fear of my shampoo stripping my hair of moisture or nutrients, leaving my hair smooth and shiny. I learned that while most shampoos only cleanse the surface of the hair, Pantene’s new shampoos actually penetrate into the core with nourishing lipids and antioxidants, replenishing hair’s lost moisture, and protecting from present and future damage. The first shampoos washed away dirt, oil, sweat and other nutrients, then the next wave of shampoos put stuff on the surface, and now Pantene’s new shampoos are putting something (antioxidants and lipids) in it. You can’t beat that right? If you are anything like me, all you want is a good hair day. I am not one to just throw on a hat and Pantene’s new shampoos really ensure that my hair is always fab and ready for the day. If you have any other questions about my hair and routine, feel free to message or comment below as I would love to answer them. I hope you all have a really fab day!